Steel & wire mesh frame. Leather seat cushion with handmade leather buttons. 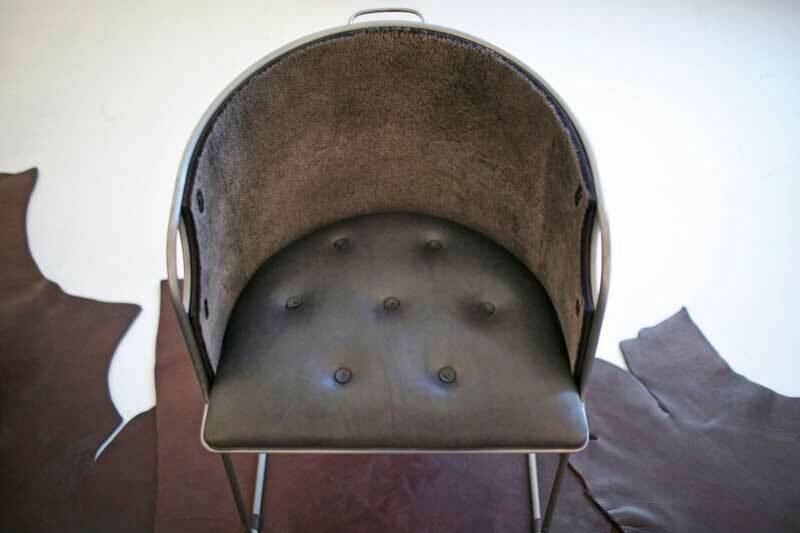 Felt or shearling interior back rest. Available in several leather & felt upholstery colors. Cold-rolled steel and vegetable-tanned leather. Inspired by an early client and Zivic's enduring appreciation for trains. Also available as a bar stool. Made in upstate New York. Leather colors: Natural, Havana, Rich Brown or Black - click to view. Also available in shearling. Samples on request. 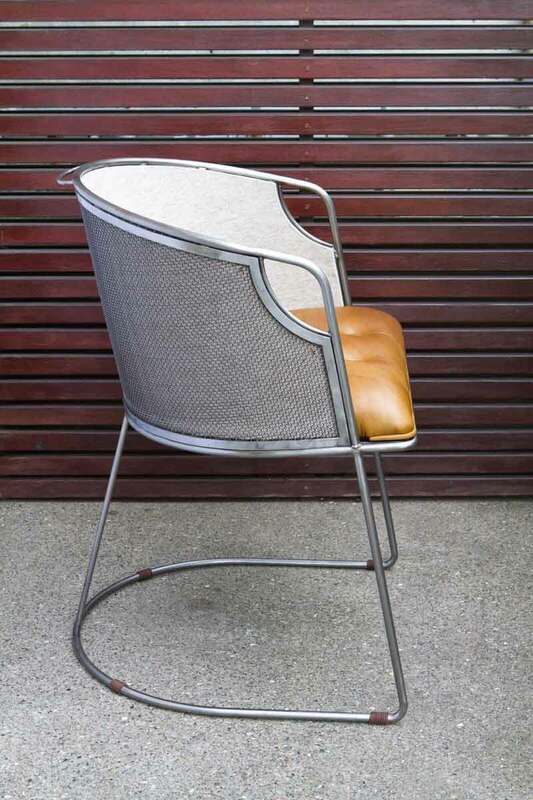 Cold-rolled steel frame bar stools with our exclusive, handmade industrial Link Leather or Bridle Leather sling seat. Made in the U.S. Standard bar and counter heights. 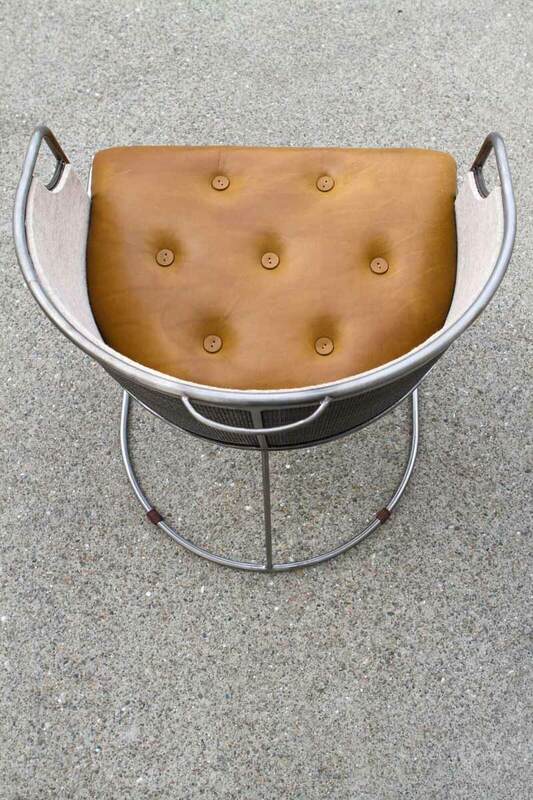 Folding chair in cold-rolled steel and vegetable-tanned bridle leather or shearling. Made in upstate New York.